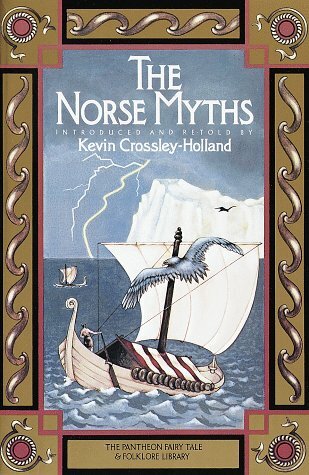 Drawing on a wide variety of sources, the author has re-created 32 classic Norse Myths that compete in power with Greek mythology. (The Green Children and The Wildman), Rupert Bawden (The Sailor's Tale), Sir Arthur Bliss, William Mathias, and Stephen Paulus. Crossley-Holland's book The Seeing Stone won the Guardian Children's Fiction Award, the Smarties Prize Bronze Medal, and the Tir na n-Og Award. The trilogy has won critical acclaim and been translated into twenty-five languages. His recent and forthcoming books are The Hidden Roads: A Memoir of Childhood, Bracelet of Bones and his new and selected poems The Mountains of Norfolk. Crossley-Holland often lectures abroad on behalf of the British Council and offers poetry and prose workshops and talks on the Anglo-Saxons and Vikings, King Arthur, heroines and heroes, and myth, legend and folk-tale. Kevin Crossley-Holland is an Honorary Fellow of St Edmund Hall, Oxford, a patron of the Society for Storytelling, and a Fellow of the Royal Society of Literature. He lives on the north Norfolk coast in East Anglia with his wife and children.